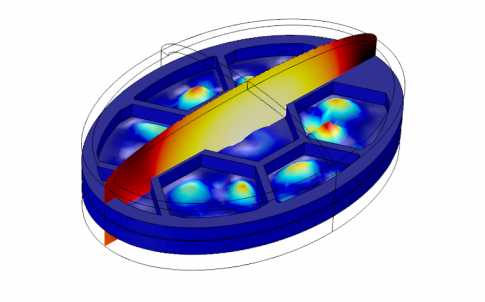 COMSOL, Inc has announced the latest release of the COMSOL Multiphysics and COMSOL Server products. Version 5.3 provides simulation specialists with notable performance improvements and powerful app design and deployment capabilities with new modeling and development tools, solvers, and user-driven features. In many cases, users will experience a speedup of ten times or more in software responsiveness, such as in preprocessing tasks for handling models with several thousand boundaries and domains. With version 5.3 the boundary element method (BEM) is available for modeling electrostatics and corrosion effects. 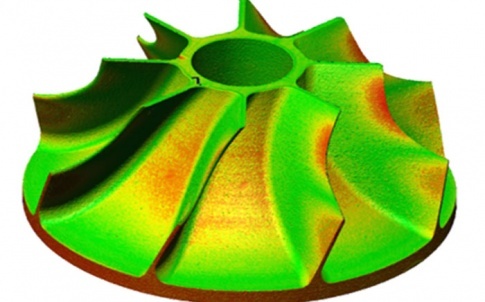 “This means that users can easily combine boundary element and finite element methods for greater flexibility in their multiphysics simulations”, continues Littmarck. 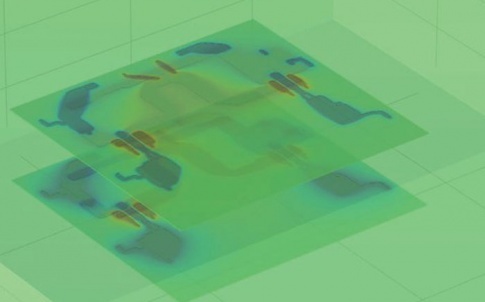 The Boundary Element method enables users to simulate models with infinite domains and voids, as well as to quickly set up simulations that combine wires, beams, surfaces, and solids in the same model. Typical uses for this functionality include the modeling of electrical cathodic protection, cables, or capacitive sensors. Users handling large CFD models will benefit from the new algebraic multigrid (AMG) solver implemented in version 5.3. The AMG solver requires only a single mesh level and is now the default option for many fluid flow and transport phenomena interfaces. Users modeling turbulent flows can benefit from more robust computations with the automatic treatment of walls. This feature blends high-fidelity low-Reynolds formulation with wall functions. The Model Builder now more rapidly handles geometry and mesh operations for models with large arrays and complicated solid operations in 3D. Users working with models and geometry requiring the use of several element types will benefit from the automatic generation of pyramidal elements to handle the transition between swept, hexahedral, prismatic, and tetrahedral meshes. 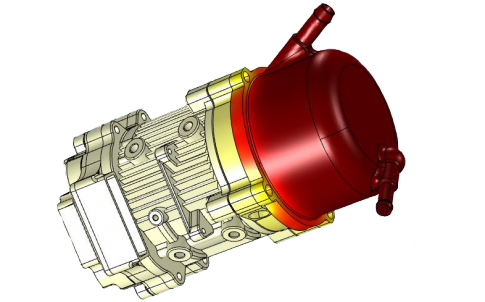 A new option for automatic geometry defeaturing through virtual geometry operations is now available to users. “We continue to see improved performance for large models across the board. This is not only about solution time but also how the software handles large models in the user interface, including geometry and mesh”, comments Bjorn Sjodin, VP of Product Management, COMSOL, Inc.
With the introduction of model methods in version 5.3, it is easy to automate repetitive operations directly in the Model Builder. ”You can now simply record a set of operations, like a macro, and use the resulting method while setting up or solving a model. This is an important usability feature with many possible applications. For example, you can create a reusable model method that generates a complicated array of geometric objects to expand on the standard functionality of the Model Builder”, continues Sjodin. The Application Libraries feature more than 50 new and updated tutorial models, allowing users to quickly adopt new features, tools, and modeling techniques. 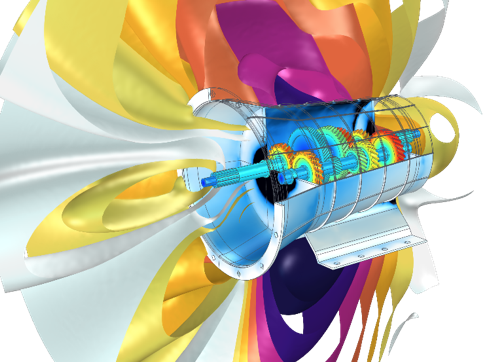 The tutorials span several areas, from permanent magnet motors, cables, and horn antennas, to supersonic flows, electronics cooling, and vibration and noise in a gearbox. 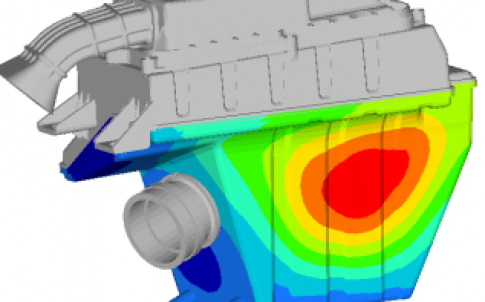 The Application Builder allows simulation specialists to create apps based on their multiphysics models. The app interface can be easily customized and accessed via a browser or a Windows client, which connects to a local installation of COMSOL Server. Updates to COMSOL Server include comprehensive log files for user activity as well as a centralized cluster administration setting in the COMSOL Server web interface for easy setup of running apps on clusters. In the Application Builder, app designers can now define customised actions when clicking on plots in graphics objects, enabling the easy creation of interactive apps. Cornell Dublier, founded in 1909 and a leading global manufacturer of high-quality capacitors, uses COMSOL Server for deploying computational apps to engineers at different sites around the world. “Using COMSOL Multiphysics and its Application Builder I can create models and build apps based on them. This allows other departments to test different configurations for their particular requirements and pick the best design”, comments Sam Parler, Research Director at Cornell Dubilier. As a part of a food science curriculum, Cornell University is using simulation apps that connect via a browser to the school’s local installation of COMSOL Server. “Simulation apps bring new opportunities to education. In a food safety class, the app enables multidisciplinary learning where a biological science student can simulate many what-if scenarios realistically”, comments Prof. Ashim Datta, Department of Biological & Environmental Engineering, Cornell University. COMSOL software products are supported on Windows operating system, Linux operating system, and macOS operating system. The Application Builder is supported in the Windows operating system. COMSOL Multiphysics and COMSOL Server: Performance improvements for handling of large models and faster load and save of model MPH files. Model methods for automating repetitive operations are available directly from the Model Builder. Using Selections as a plot attribute. Customized actions when clicking on graphics objects. Administrator cluster settings and log file for application usage. *Speedup compared to version 5.2a. The actual speedup may be better or worse depending on the details of the model. Geometry and Mesh: Performance improvements. Automatic pyramid element transitions. Automatic removal of geometric details. Adaptively generated meshes are now integrated with user-defined mesh sequences. Coordinate systems available in primitive solid operations. Mathematical Modeling Tools, Studies, and Visualization: Boundary element method for electrostatics and corrosion. Algebraic Multigrid (AMG) solver for CFD. Direct and iterative solver suggestions for choosing between fast or memory conservative solver. Combine two transient or parametric solutions into one. Simultaneous visualization of two quantities on the y-axis of 1D plots. Quick selection filters for plots. Electromagnetics: New physics: Electrostatics, Boundary Elements; Schrödinger Equation. New study type for fast capacitance and general lumped matrix calculations. Calculate S-Parameters from transient simulations. Part library for standard RF and microwave components. New permanent magnet motor tutorial model. Structural & Acoustics: New physics: Thermoviscous Acoustics, Transient; Poroelastic Waves updated with new Biot-Allard Model. Easier setup of models with self-equilibrating loads with automatic constraints of rigid body motions. Safety factors in linear elastic analysis for quick assessment of the need for elastoplastic analysis. Stress linearization evaluation for pressure vessels. New Lemaitre-Chaboche viscoplastic material model. New Rotor Bearing System Simulator app for rotordynamics. Two new tutorial models for vibrations and noise in a gear box and an induction motor. Perfectly matched layers (PMLs) for absorption of outgoing waves for pressure acoustics in the time domain. Transient thermoviscous acoustics analysis. Fluid Flow & Heat Transfer: New physics: Fluid Flow with v2-f turbulence model; Heat and Moisture Transport. New highly automatic and robust Algebraic Multigrid (AMG) solver for CFD. Automatic treatment of flow near walls that blends a low-Reynolds model with wall functions. New building and refrigerant materials. Diffuse and direct solar radiation. Symmetry planes for heat radiation in all directions simultaneously. Chemical: New physics: Current Distribution, Boundary Elements; Reacting Flow in Porous Media; Transport of Diluted Species in Fractures. 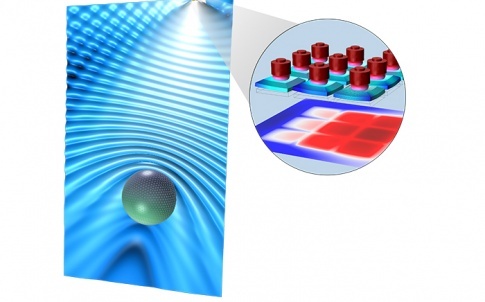 Modeling tools for thin electrode and electrolyte layers. Multipurpose & Interfacing: Periodic conditions for particle tracing. Automatic termination of rays in ray optics based on user-defined bounding box or intensity drop. Import of photometric data files for ray optics. Easier modeling of particles in rotating machinery with new rotating frames functionality. More efficient set-up of selections for CAD Assemblies with LiveLink for SOLIDWORKS and LiveLink for Inventor. Support for synchronizing curves and points with LiveLink for AutoCAD. New tutorial for importing and meshing a PCB Geometry from an ODB++ archive file.